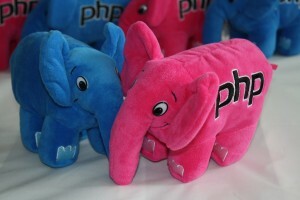 Posted March 1, 2012 by Guillaume Plessis & filed under PHP. The PHP development team is proud to announce the immediate release of PHP 5.4.0. This release is a major improvement in the 5.x series, which includes a large number of new features and bug fixes. Don’t worry, production-ready PHP 5.4 packages will be available in some few weeks, after the Suhosin patch and the missing extensions are published. PHP extensions config files are now migrated to /etc/php5/mods-available/. Files in /etc/php5/conf.d/ are now just symlinks to them. Therefore, you can activate PHP extensions by using php5enmod/php5dismod. I hope you’ll enjoy this new packages. Any feedback or donation is highly appreciated. I thought there was a general decision Debian to no longer package PHP with suhosin? @Dave : thanks for this feedback. As said in the blog post, some extensions are not fully compatible with PHP 5.4. I’ll take a look at the git/svn versions and I’ll update the packages in the next few days. @Seza : Suhosin is not included in the PHP 5.4.0 packages yet, but it will be once it’s available. The packaging scripts will allow you to easily build your own Suhosin-free Debian package, I’ll post a note about it soon. Anyway, did you try to isolate the problematic portion of your code? What are the errors raised by Suhosin? Did you uninstall the php5-suhosin extension to lower its effect? Did you try to tweak it according to your needs? Investigate is certainly a big word but I tried to figure out what’s going on. I’m not good enough to make ‘strace’ and things like that to find where bad karma with suhosin coming from. I’ll tried to isolate portion of code that, crashes arrives after few hours of work, app start to hangs a little before crash, and I can’t reproduce the way the crash becomes. (No helpful logs by the way). Actually I run with suhosin in simulation mode. Because of stream issue, since 5.3.8, there is noway to configure suhosin stream whitelist/blacklist and make things working. Even in simulation mode, suhosin continue to alert me about streams… it’s very annoying to work like that. Even in simulation, app crashed again so I removed APC… This is not helpful, but it’s a production server, I can’t play so much on it and permit more downtime to find what’s the problem and I can’t reproduce the problem on the same version of php and apc on my dev machine (osx). As you can see, it’s not simple (for me). If you provide a methods to make own package, that’s enough for me. Thank you. You’re making great work anyway. @Seza : please first unintall php5-suhosin to remove most of Suhosin’s protection (it will be easier than rebuilding all the needed php5 packages). It’s just a recommended package. Tell me if it solves your issues. After installing PHP 5.4 gzopen does not exist. @Orestes : I’m aware of this issue. I think I’ll update php5-apc with the SVN version if no new package is released in the next few days. @Guillaume: without it’s work fine, but installing APC require Suhosin. @Seza : not exactly. php5-apc requires php5-common, that *recommends* php5-suhosin. Then, you can install php5-apc without php5-suhosin. Use deselect, synaptic or aptitude to choose your package precisely or set the “APT::Install-Recommends” apt setting to false. Guillaume – thanks for packaging up PHP5.4 so quickly. Any idea when a working APC will be packaged? @Admiral : I’m still waiting for a new release of APC. If it’s not released in the next few days, I’ll package the SVN version of APC. Will it be possible to stick with php 5.3 or will 5.4 be moved into the main repo? I know the idea of dotdeb is to have the latest, I’m just a little uneasy about upgrading to 5.4.x series yet. And I don’t trust any other repos for upgrades to say 5.3.11 if it comes out. @Alex : PHP 5.4 won’t be merged in Dotdeb’s squeeze branch, it will stay in the squeeze-php54 branch. No need to worry. Using the PHP 5.4 package, perl-regex matching with ‘u’ option like preg_match(‘/$regex/u’, $subject) doesn’t work. It works for the PHP 5.3 package by dotdeb. The linked libpcre doesn’t support the unicode property ? @Rui Hirokawa : thanks for the report. I’ll take a look at this issue and fix it in future PHP 5.4 packages. Thanks for providing latest builds! Though I have a question: if I use “squeeze-php54” path I get PHP 5.4 but not MySQL 5.5 in package lists, how do I get both? I installed php-gettext and manually added gettext.so to the enabled extensions, because no conf.d file was created. According to phpinfo(), gettext support is enabled, but PHP keeps telling me that __() is an unknown function. Is this a known issue or did I do something wrong? php5-mysqlnd totally wrecked my system. It fails to install AND fails to uninstall (it gets stuck in some intermediate state where it’s neither installed nor not-installed) AND blocks the installation of php5-mysql (which first tries to uninstall php5-mysqlnd, which fails). Did anyone experience the same issue (and found a fix)? php5-mysqlnd is already the newest version. Need to get 0 B/2,095 kB of archives. After this operation, 4,350 kB of additional disk space will be used. Totally stuck here with a now MySQL-less server… any idea on how to fix this without reinstalling the whole server (which would be quite a major PITA)? @David : this kind of problem is why PHP 5.4 packages are still in preview. You can fix the removal of php5-mysql / php5-mysqlnd by editing the corresponding /var/lib/dpkg/info/*.postinst files (exit 0 at its top will work). Once your system is clean, try to reinstall the wanted extension. I still can’t install php5-mysqlnd, but php5-mysql works fine. Please consider renaming the files in mysqlnd to add a nd in the ini file name, as this is f.. pointless loss of hours. At least make sure such bugs don`t reach testing, or even worse stable. Feed as much as your pet will willingly eat daily until the fleas are gone. doctors all over the world. Simple washing will destroy the fleas residing in your animals bedding.